In a one-hour special, CNN visits with five previous CNN Heroes of the Year to see how their lives have changed and organizations have grown since being honored. 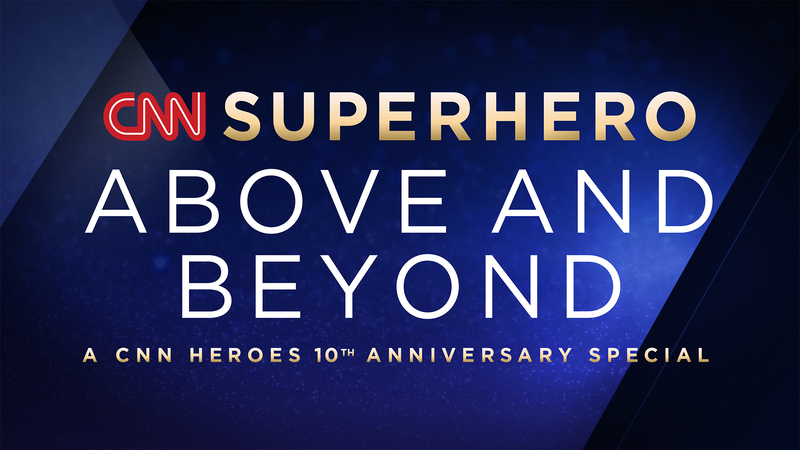 Hosted by Anderson Cooper, CNN Superhero: Above and Beyond airs Friday, December 9th at 10PM/ET and will simulcast on CNNI. The audience can vote online to select the CNN SuperHero from among these five honorees. Viewers will be invited to choose the individual whose outstanding work continues to best embody the spirit of the CNN Heroes campaign. The person receiving the most votes will be awarded $50,000 to continue their work. Voting will be conducted on CNNHeroes.com, through Facebook Messenger on the CNN Heroes Facebook page, and on Twitter. Details can be found at CNNHeroes.com. Voting begins at 10PM/ET Friday and will continue into the live global telecast of the 10th annual CNN Heroes: An All-Star Tribute, with the SuperHero and the 2016 Hero of the Year being announced live. All five previous Heroes of the Year will also be attending this year’s gala, and each will be separately prized $10,000 by CNN to their designated non-profit organization. The 10th annual CNN Heroes: An All-Star Tribute gala, co-hosted by CNN’s Anderson Cooper and ABC’s Kelly Ripa, airs live on December 11th at 8PM/ET from the American Museum of Natural History in New York City. Social media users are encouraged to “like” CNN Heroes on Facebook, follow @CNNHeroes on Twitter, and use hashtag #CNNHeroes. Behind-the-scenes images can be viewed on the CNN Heroes Instagram account. CNN Worldwide, a division of Turner Broadcasting System, Inc., a Time Warner Company, is the most trusted source for news and information. Its reach extends to nine cable and satellite television networks; one private place-based network; two radio networks; wireless devices around the world; CNN Digital Network, the No. 1 network of news Web sites in the United States; CNN Newsource, the world’s most extensively syndicated news service; and strategic international partnerships within both television and the digital media. For more information, visit CNNPressroom.com.